Time for another edition of The Last Thing Thursday! Big thanks to Jenna from The Life of the Wife for coming up with such an awesome link up. Some big changes are happening in my life and I’m beyond thrilled. I’ll expand more on that another day but just know that my life course changed directions a bit and I’m feeling awesome about it. 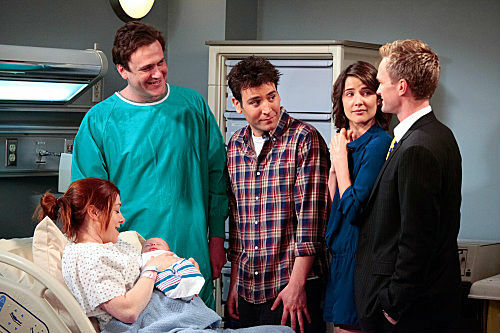 The How I Met Your Mother season finale. Oh. My. God. Marvin Wait for it Erikson. I won’t give anything away but at the end of the episode, my jaw just dropped. This show is definitely one of my faves. I read that they are still working out contracts with the actors to see how long the show will continue. Two more seasons, please! This top. I die. It’s so beautiful. 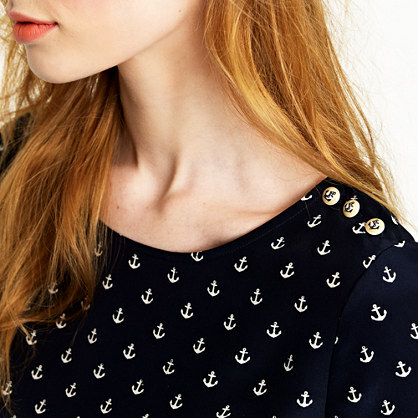 Look at those anchor buttons on the shoulder. My bestie wrote a post yesterday about our love of anchors. Unfortunately, even on sale it exceeds my budget for um, basically the year. I haven’t worn one of these since my mom did my hair. So maybe about age 5? But I love them! So can someone tell me what I did wrong? Cause mine kind of looks like a regular braid.